When disasters occur, they usually occur without any warning. 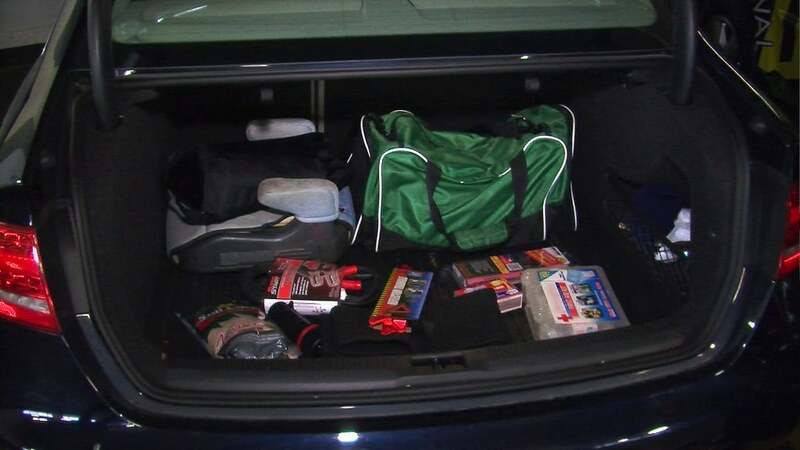 While there is much focus in the survivalist community on keeping an adequate stockpile of survival supplies at home as well as having a bug out bag should you need to bug out, there isn’t a terribly large amount of information on having a proper survival kit in your car. Guess what, survival situations can happen while you’re driving in places outside of civilization. It happens to people every year. You may get stranded in the middle of the desert or in the middle of a deadly blizzard. 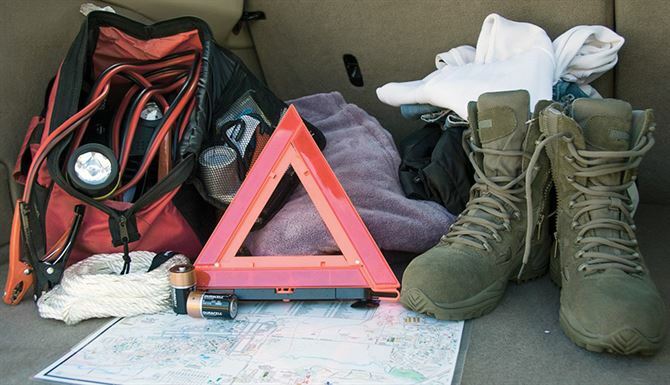 In either of these kinds of scenarios, or in any other kind of survival situation, having a kit of survival items in your car could save your life. Let’s go over the different kinds of items that you should consider including in your vehicle at all times. 2 What About Pre-Made Car Survival Kits? First and foremost, this is a car, so you need to have car repair and maintenance items in it. Examples of items that are a must have to keep in the car include oily towels, WD-40, wire ties, a multitool, a knife, a tire gauge, pair of pliers, screwdriver, wrench (adjustable), pliers, ratchet and sockets, and a hex key. Additional items that will be worth including are an aerosol foam tire sealant, a compressor, a tire plug kit, and jumper cables (6 gauge). 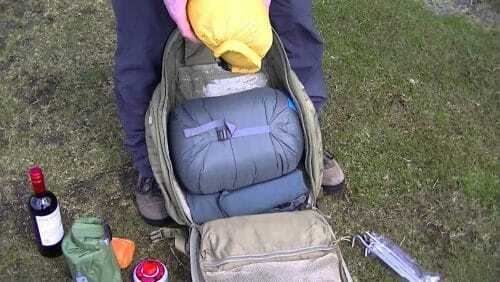 The next thing you’re going to need is a backpack similar to a bug out bag backpack. 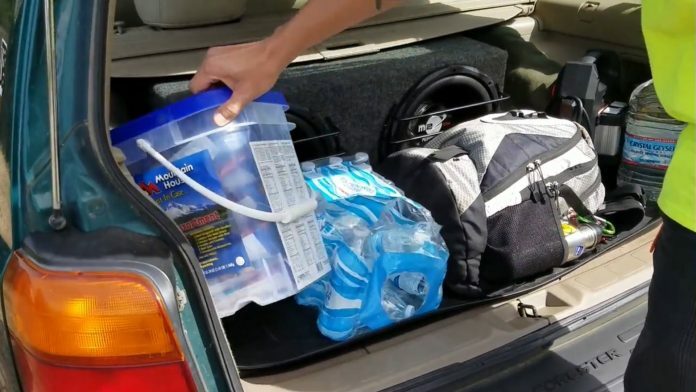 The purpose of the backpack is not only to keep several of your car survival items together so they are well organized and out of the way, but also so you can carry your items with you should you need to evacuate the car. 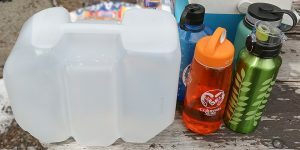 One of your biggest priorities in any survival situation will be to stay hydrated and energized through food and water. Let’s talk about water first. Having water in your car at all times is an absolute must, without exception. The best option will be to keep your water in refillable and high quality water bottles. These bottles will be easy to carry and transport should you need to leave your vehicle. It’s up to you in regards to how much water think you need, but a good rule of thumb would be to have enough to last you for at least 72 hours. Rotate your water out at least once every six months. In addition to water, you are also going to need water purification tablets and a personal water filter. The LifeStraw Personal Water Filter is widely used and highly reputable. As for food, your best option will be protein bars or energy bars. They have a lot of calories and are highly nutritious (with around 2,000 to 3,000 calories per bar), and they are also highly portable and easy to take with you if you need to leave your vehicle. Each protein bar should have a shelf life of around six months to a year before needing to be replaced. 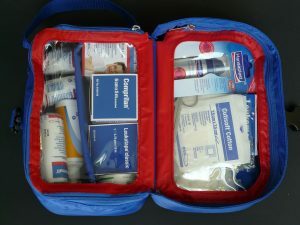 Even if you disagree with the idea of having a complete survival kit in your car, having a first aid kit is just common sense. Should you get stranded in your car miles away from civilization, and should you be injured or sick, you will not have access to a hospital or a medical health professional. You just won’t. And that’s exactly why it’s very important to keep a complete first aid kit in your car at all times. Rather than simply buy a first aid kit, instead, you should buy all of the contents separately so you can be totally familiar with everything instead. Definitely include a waterproof and fire retardant wool blanket in your car. Consider including two just in case since you might be traveling with at least one other person when you get stranded. 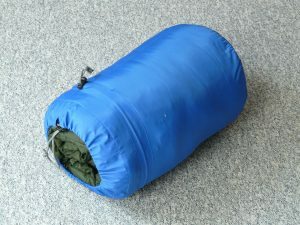 Also including a sleeping bag/bivvy of some kind and/or an emergency survival blanket as well. Spare clothing, particularly a coat or jacket and a warm hat, would also be wise to include in your car. Proper hiking boots (or snow boots if you’re in a winter environment), and an extra change of socks and underwear would also be good since you may need to abandon your car and walk. Finally, don’t forget a poncho… you’ll need to stay dry while it’s raining. As far as light, include a flashlight with spare batteries. Maglite flashlights in particular are highly durable and shine brightly. Including a couple glow sticks also wouldn’t be a bad idea. Let’s talk about basic tools to include in your include in your car. First and foremost, you’ll need a knife, and preferably two knives. The first knife should be a fixed blade knife with a full tang in the handle for maximum durability. This knife can be used for everything from defense to splitting wood to tying onto the end of a pole to make a knife spear, and so on. The second knife should be a folding tactical knife that can be used as a backup to your first knife or for more precise work, and can be kept clipped to the inside of your pocket. Next, consider including a hatchet, which is even more effective than a knife for a number of purposes, such as chopping wood. 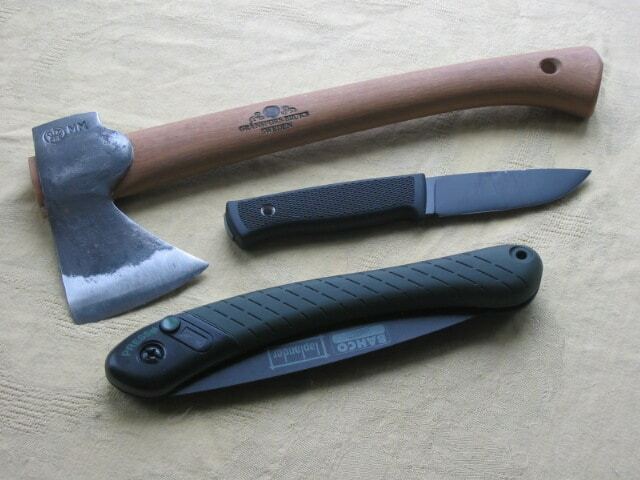 Should you need to abandon your car, having a hatchet in your backpack could certainly be a major plus. Next would be a metal container, which you can use to boil water or cook food over a fire without worrying of damaging it (unlike a plastic water bottle). Finally, navigational equipment such as a GPS (with spare batteries), a laminated and detailed map of the area, and a high quality compass that actually works will also be huge pluses. Having the ability to get a fire going in a survival situation is a no-brainer (or at least it should be). 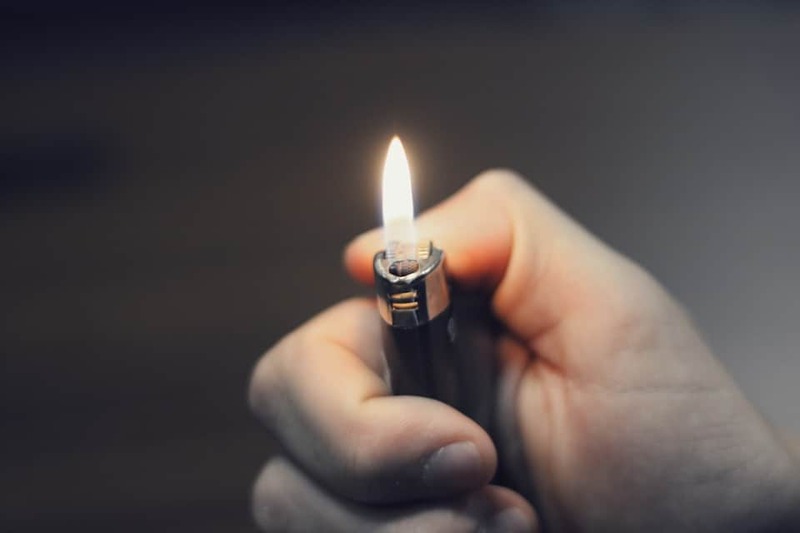 Have a minimum of two different kinds of fire starting devices in your car survival kit, whether they be matches, a lighter, a fire piston, or a magnesium flint striker. Additionally, you’re going to need a means to get a fire going quickly too. Cotton balls soaked in vaseline are awesome because they will ignite a spark into a full flame instantly and they are fully waterproof. This is a separate category all on its work. Cat litter is great for sprinkling on the icy surface in front of you to gain and maintain traction while you walk. Again, this is your own category. Having cold hard cash in your car will be vital for getting a prescription or food at a gas station after finding your way back to civilization. Have a minimum of $100 in your car at all times, divided into $20s, $10, $5s, and $1. It’s also highly recommended that you hide your money throughout your vehicle… the old saying does that you should never keep each of your eggs in the same basket. This is easily the most overlooked category for a survival kit, but that doesn’t mean it’s not important. Keeping yourself clean is critical in a survival situation to lower your risk for catching infections or diseases. 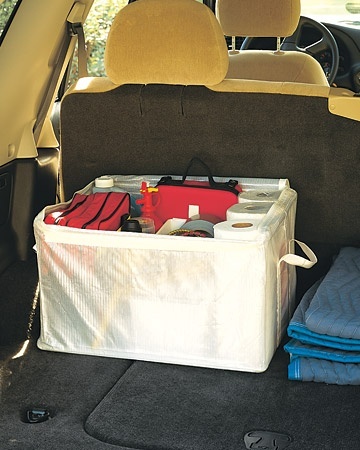 What About Pre-Made Car Survival Kits? 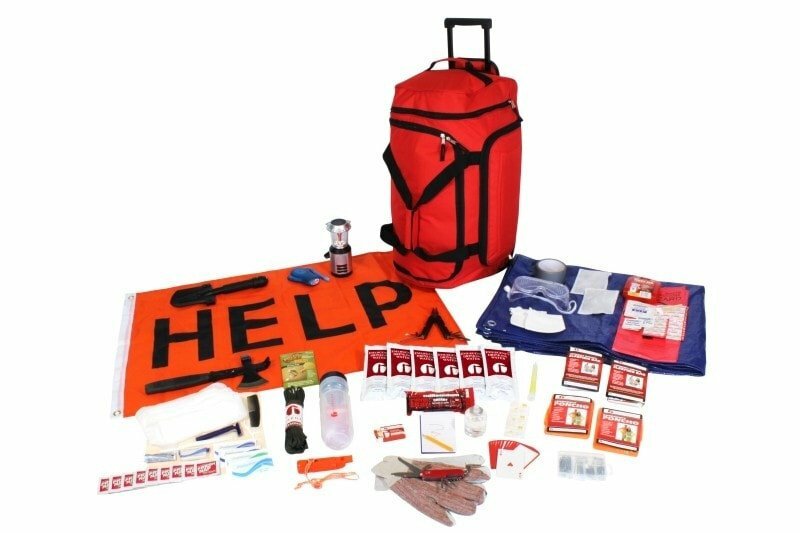 You might be wondering, why assemble the items for your car survival kit separately when you could just buy car survival kits that are pre-made and ready to go? Well, you could, but the problem is you may not become fully familiar with each of the contents if you do. Assembling the items separately on your own may cost more and take more time, but on the bright side, it ensures that you are totally familiar with each and every item that you have. The life that we have gone over in this article may seem long and excessive, but it really isn’t. You can literally keep everything listed out in a backpack and in a large enough plastic bin or container that you keep in your car at all times. If money is an issue or if you don’t feel that you need each of the items that we have gone over, then what are the most essentials items to keep? In this case, it would probably be a metal water container filled with water, a good knife, a fire starter, and some warm clothing. While it would be ideal to have more items than just those, if you are limited for whatever reason in the items that you can include those would be the ones to have.